I was recently in Lenox Square Mall in Atlanta, and I visited the Microsoft store, the Apple store, and a pop-up Amazon shop. As I wandered through all three of them, I began to ponder the state of each company when I look ahead to the next generation of consumer technology. As I walked through each of them, this thought kept popping into my head: do Apple products warrant their premium price? Are Apple products a premium experience, or is it all about the Apple brand? Do Apple Products Warrant Their Premium Price? When I walked through the Apple store, I saw roughly the same core products they had a few years ago. The Mac is a stagnant platform. The iPad is still running a blown up phone OS. 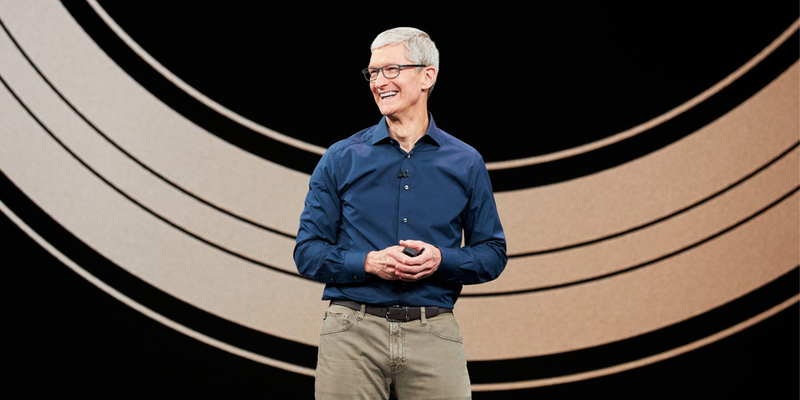 Under Tim Cook, Apple has certainly been innovative in a lot of ways, and most of that is with the processors for iPhone, iPad, and Apple Watch. The iPhone design is amazing, but I want to be thinking what’s past iPhone. The store is massive, well staffed, and there were tons of customers everywhere. All of its products are on display, but the walls are covered with accessories for its products. The accessory ecosystem around Apple’s hardware products is certainly something Apple has grown in the last few years. With iPhone and iPad cases and Apple Watch bands carrying a premium price, Apple’s margins on its products (when added with its hardware margins) is just outstanding. When I browsed through the Microsoft store, I saw their line of surface laptops. I’m not going to pretend that I am considering buying one of them, because I don’t enjoy using Windows at all. I can appreciate their willingness to take chances with a form factor, though. While it wasn’t as busy as the Apple store, there were still plenty of customers in there. 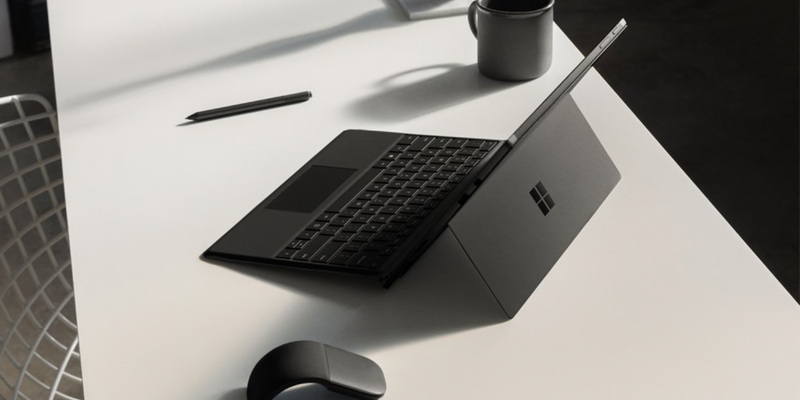 When I look at the Surface laptops (especially the ones with detachable keyboards), I do get really envious of being able to carry one device for tablet and laptop computing. When I browsed the Amazon pop-up shop, I saw a company who is committed to building out its Alexa and home connected products. I saw a company who isn’t as concerned with growing its device average selling price for every single product, but rather a company who wants to grow its average devices per user metric more than anything. In playing with their tablets, they are nowhere near as polished as the iPad, but they aren’t bad for the price. If you simply want something for content consumption, it’s hard to ignore them. 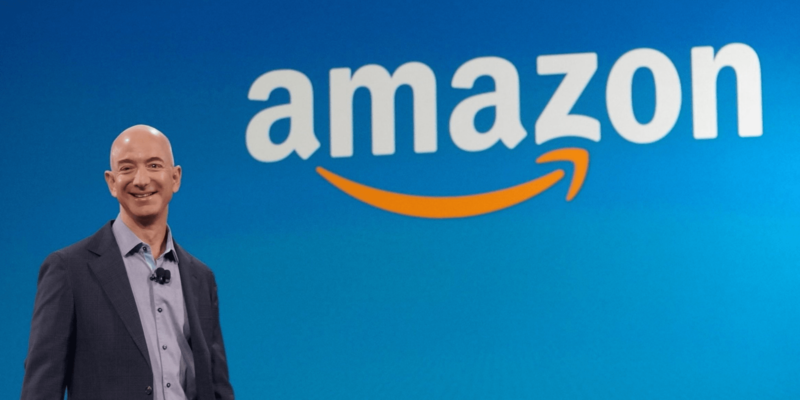 I am as bullish on Amazon going forward as I am any consumer technology company. Their smart home ecosystem is just outstanding. The Echo products keep getting better (while the cost remains low). They’ve found a great balance between building their own products (Amazon Camera and Ring Doorbell) and making it easy for third parties to add Alexa support. When I look at Amazon, I see well-made products for a lot less money. Do Apple products warrant their premium price? When I first became an Apple customer, they were more expensive, but they offered products that were head and shoulders better than their competitors. Is that still the case? In the days since I walked around these stores, I’ve been thinking through what the next ten years of consumer technology might look like. I’ve felt like there has been this general unrest with some of Apple’s longtime users for a while. We all love our iPhones (so much that Apple had to build tools to help us not use them so much), but the Mac hardware line is stagnant. I’m discussing buying 50+ laptops with Apple right now, and I don’t trust the MacBook keyboard, and the MacBook Air is long in the tooth. The iPad hardware is amazing, but the software still lacks for a lot of use cases. The HomePod sounds great, but it’s overpriced for what it can do compared to alternatives. The Apple TV is great, but it runs essentially the same apps as devices (Fire TV) that are 1/3rd the cost. Siri has grown at a snail’s pace compared to Alexa and Google Assistant. Apple used to be about premium experiences compared to the competitors, but I do not see “premium” on any products except iPhone. It seems like now they are counting on the Apple brand to sell the products versus a best in class experience. On the flip side, I feel like there are so many categories they could make a meaningful impact in (home networking, home automation products, and expanded cloud services) that it perplexes me why they don’t. The thing I like the least about Tim Cook’s Apple is they are taking gambles on raising pricing and building accessories for iPhones where Microsoft is re-thinking the laptop, and Amazon is trying to build a world where the OS lives in the cloud. We’ve been reduced to a world of apps and digital assistants. Android has most of the core apps you’d need to switch. Alexa can do a lot more than Siri. Amazon Fire TV has very similar apps to Apple TV. While its competitors are getting a lot better at hardware and software, Apple seems to be focused on raising ASP on its products. How long can that last? I am going to make a prediction that might sound crazy, but I bet Jeff Bezos has a team working on a next Amazon Fire Phone. The first one was terrible, but Amazon has made a lot of great products since then. What happens if Amazon comes out with a $399 Fire Phone that’s tied heavily into Alexa and it’s connected home products. What if it includes all of the major apps you’d want. Apple’s iPhones would start to look a lot more expensive in comparison. Apple in 2018 seems focused on the average selling price of its products while also growing accessories revenue. Does this sound like Apple in 2018? It doesn’t seem like it to me. I’m still carrying an iPhone X, using my Apple TVs daily, and I am writing this on a MacBook Pro, but I am not sure I still have the affection for the products I once did. Do Apple products warrant their premium price in 2018? I think so, but I am not so sure when looking ahead to the next few years. 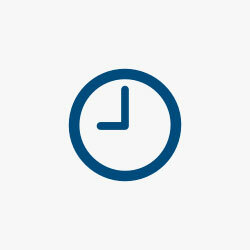 All of its competitors seem to be providing really good experiences for less money.